Flipkart has committed $500 million for its payments platform PhonePe, which is scaling its operations. The e-commerce major acquired PhonePe in 2015 and has since then invested $75 million in the platform. This is one of the largest single investment commitments in the Indian financial technology payments space and comes at a time when e-tailers are investing towards building a strong payments system. “The investment will be used to scale up our technology platforms, and expand our merchant network and consumer base rapidly. We have been growing at over 100 per cent every two months this year, and this investment will help us maintain the same aggressive growth rate for the next two years,” said Sameer Nigam, co-founder and CEO, PhonePe. 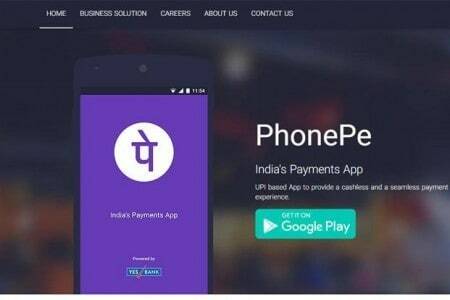 PhonePe, which has over 45 million installs, has recorded over 16 million transactions on the back of the successful Flipkart Big Billion Days festival sale in September. The fintech firm’s annual run rate, as a result, touched a new high of $3.5 billion in terms of Total Payments Volume (TPV) in September. This ramp-up is the fastest in the Indian digital payments space, the company claimed. “PhonePe is a critical part of our overall strategy at Flipkart to build a comprehensive ecosystem for our customers. We’re fully committed to make PhonePe the most preferred digital payments app in India,” said Binny Bansal, group CEO, Flipkart.